Bill lost 17 Pounds in 10 Days with Purium! Billy did the 10-Day Celebrity Transformation in June with Amazing results! Not only did Billy lose 12.8 pounds in 10 days be he shaved off some serious inches. Billy reset his metabolism, cleansed his body of GMO’s and processed food toxins, and got off to a fantastic start towards his new healthy lifestyle. I am proud to report that Bill has maintained the weight loss and new healthy lifestyle to this day! Joe Lost Over 40 Pounds with Purium! Joe has lost over 40 Pounds and 25 inches with Purium products and is still going strong. Joe started on May 8th and continues using Purium products to this day. He is shredding fat and gaining muscle every day and feels amazing! Michael Lost over 12 Pounds with Purium! Michael did the 10-Day Celebrity Transformation in July with Amazing results! Not only did he lose over 10 pounds in 10 days be he shaved off some serious inches. The biggest benefit is that the aches and pains in his knees are gone and he is happy to report that on day 11 he ran a 6:06 mile!!! Look at the difference in his face, neck, and stomach!! 90 day results in 10 days!!! Michael reset his metabolism, cleansed his body of GMO’s and processed food toxins, and got off to a fantastic start towards his new healthy lifestyle. Jenny from Crazytrain Crossfit Lost 10 Pounds in 10 Days! Jenny owns Crazytrain Crossfit in West Palm Beach, Florida and was in amazing shape before doing her 10 Day Transformation. Jenny proves that no matter how fit you are that this cleanse can shred unwanted fat off of your body! Great Job! Vernon Lost Over 17 Pounds in 10 Days! Socrates Lost Over 50 Pounds With Purium! Socrates was Joe’s inspiration for trying the 10 Day Celebrity Transformation as his journey from strong but big to absolutely shredded at age 49 is nothing short of incredible! Socrates is using Purium products to this day and works with Joe to help other people in South Florida and across the nation regain control of their bodies and get healthy! All of these are Real People that have achieved Real Results with Purium from Boston to Miami! *Average weight loss of 11.3 pounds and 8 inches in 10 days. If you plan on losing more than 10 pounds in one month, please consult a doctor. What is the 10 Day Celebrity Transformation? which contains Rice Bran Solubles, Organically Grown Activated Barley, Organic Carrot Juice Powder, Organic Spirulina, Organic Wheat Grass Juice Powder, Organic Oat Grass Juice Powder, Organic Alfalfa Leaf Juice Powder, Organic Raspberry Flavor, and Organic Apple Flavor. which contain a Patented proprietary blend of (non-soy) legumes. Amount per Serving of MAP 5000 mg: L- Leucine, L- Valine, L- Isoleucine, L- Phenylalanine, L- Threonine, L- Methionine, L- Tryptophan, L- Lysine . which is made from Sour/Tart Cherries, which are nature’s most nutritionally dense food. They contain a wide variety of antioxidants and phyto-chemicals, and each serving contains 7,000 ORAC (Oxygen Radical Absorbance Capacity) units. -The body can live without a lot of calories but it can’t live without a lot of nutrients. We use super high nutrient, super low calorie superfood concentrates that completely satisfy your cells. Two power greens plus two power grains generate cellular energy for hours and hours. -Your body can’t build up and tear down at the same time. The patented 100% vegan predigested protein has been clinically proven to build muscle (anabolic activity) within 23 minutes even if you aren’t exercising. This means you will burn fat and build muscle, not the other way around. No other program does this! Why settle for a starvation or dehydration diet when you can build and tighten as you lose weight? -Deep sleep is an important part of any weight loss regimen, but it is rarely addressed. Every night your bodies repair and rebuild functions kick into high gear. This program delivers the only natural source of melatonin to help induce deep sleep. Plus, its off the charts antioxidant potency (7,000 ORAC units) help with cellular detox, waste elimination, cleansing, and protection. The FASTEST weight loss program on the planet. Lose 5 – 20 pounds in just 10 days! That’s 9 times as fast as the most popular program. The HEALTHIEST weight loss program on the planet. Break your addiction to food! Re-set your metabolism. Enjoy long-term benefits. The SIMPLEST weight loss program on the planet. 3 easy-to-use products! Plus, a Support Guide to help you every step of the way. The LEAST EXPENSIVE weight loss program on the planet. Save $50 Today! Replace your food bill for 10 full days! No tax outside of CA. 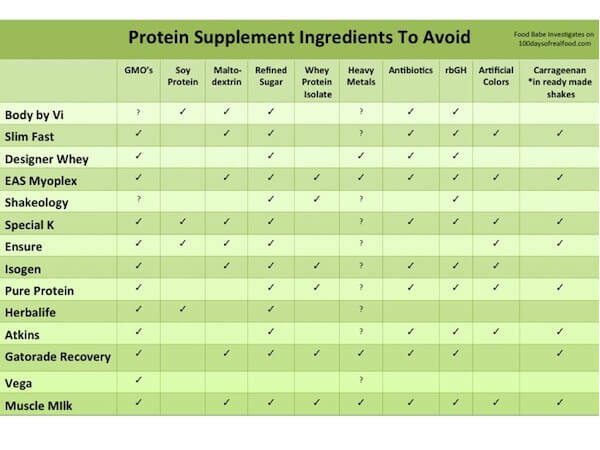 How does Purium Stack Up Against Other Protein Supplements?